Is Seven planning to move MKR next year? After a punishing first quarter there are rumours of change coming to My Kitchen Rules. The Australian is speculating it will not air head to head against Married at First Sight next year, possibly moved to as late as the second half of 2020. “Production of the original version of the show — which takes six months — has been shifted back to November this year,” it reports. Just what takes its place at the top of the year remains to be seen, with House Rules the only other franchise to come close in terms of episode output. However we still have another version of MKR to come this year, nicknamed MKR 2.0. Colin Fassnidge is expected to be fronting this one, with Seven having recently conducted auditions for “teams of two who will represent restaurants from all cuisines and backgrounds across Australia.” It also invited restaurants to put themselves forward for consideration, with customers encouraged to nominate their favourite local restaurant. Seven certainly has some work to do if it wants to keep the show alive. Recent comments even in mainstream media keep bringing up two points: 1) “not a cooking show” and 2) “Pete Evans.” Last week Seven’s reality guru Rikkie Proost, who has overseen 10 seasons, announced he is departing at the end of April. Last night the show was the top entertainment drawcard at 826,000 viewers, with team Ibby & Romel progressing to the semi finals. 2.0 sounds even worse than the original which i stopped watching three seasons back. Maybe Channel 7 has a new format in the works and is keeping tight lipped about it. Wouldn’t surprise me. Mind you lately all networks have been disappointing in what they’re offering. I rarely watch TV during the week now. You can’t be number 1 forever . Still outrates most things on channel 10 . Is the whole MAFS “thing” going to last many more years though before people tire of it? Surely people can only stand watching a group of vapid idiots yell over each other for a finite amount of time, see what happened with Big Brother and now this current incarnation of MKR itself. Totally agree, MAFS won’t last as long as MKR has. I lasted 2 seasons of MKR, then realised the scripted formula was not about to change anytime soon. It was about the same with House Rules. It was impossible not to see the contestants did a little painting (badly), some labouring and a lot of shopping, and the 100 or so tradies that could never be completely edited out, did all the real work. How people last 10 years with this stuff is completely baffling. I don’t think Seven have anything in the cupboard that can be competitive – whilst MKR was typically doing around half or 3/4 of what MAFS was doing it was still pulling in ok figures – let’s face it 700-800k these days is not too bad. Launching a new concept against MAFS will likely result in figures far less compelling. Or a better idea would be to rest the show you have milked the show for 10 years the show is likely to decline further in years to come why not leave while the going is good? Plus Pete and Manu must want to do something different by now. This could spell trouble for 10’s Masterchef Australia as it normally airs in the second half of the year (May-July). The show had always tried to avoid clashing against 7’s MKR in recent years (due to MKR lasting longer every season). Masterchef had always been positive with real people and real food, and MKR had always been negative with fake people and scripted drama. But seeing that MKR had finally loses its momentum to its poorest ratings this year (deserved), I hope Masterchef can outrate MKR in 2020 if that happens. I reckon Masterchef would be reasonably competitive in a head-to-head with MRK these days. Second half of the year is July onwards. Masterchef typically does air in May and it would be finished within 10-12 weeks so I don’t think they will overlap. 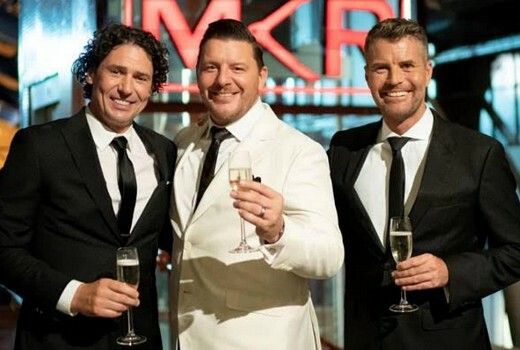 In fact MKR may suffer further as it will follow on from a ‘real’ cooking show. How many MKR contestants have gone on to host their on cooking show or successful business? Hmmm? Looking forward to MCA in the coming weeks. They think delaying the next season will help ratings, but airing yet another installment of MKR this year won’t exhaust and damage the brand in the long term? Ah, programmers will be programmers. 2.0 isn’t even ‘2.0’ anymore.